Learn from top leaders about the future of digital transformation. The 2018 Gartner Symposium/ITxpo is just wrapping up its week in Orlando, Florida, where Chief Information Officers (CIOs) and Senior IT Executives joined together to talk about the future of technology. The challenge that most in this group have is how to leverage the changing tech landscape into business models that work for customers. Quantum computing, immersive experiences like AR, VR, and MR, autonomous things, and blockchain are all a part of the changing landscape that many anticipate in the new year. You can find out all of Gartner's 2019 top ten strategic tech trends here. Cisco brought its presence to the Symposium, including the Cisco Blueprint Studio—an executive briefing center designed specifically for CIOs who want to learn more about digital transformation from experts. Leaders can enter the studio for an exclusive, 30-minute appointment to discuss their organization. Here, the experts and the CIO can craft a custom, actionable plan to meet their priorities and business needs. 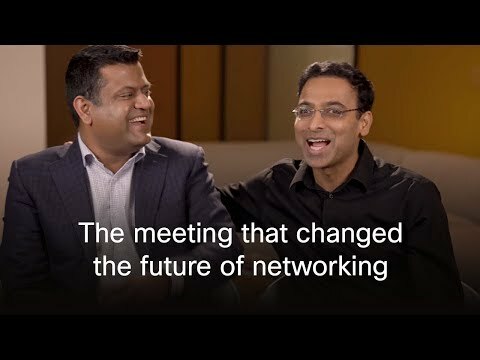 "Last year, meeting with my fellow peers, sharing our knowledge with them, hearing their stories and learning from them was one of my favorite parts of Gartner Symposium/ITxpo," writes Cisco CIO Guillermo Diaz, Jr.
Alongside the Blueprint Studio, Cisco leaders including Distinguished Engineer TK Keanini, SVP of Engineering for Enterprise Networking Anand Oswal, VP and General Manager Sri Srinivasan, and SVP of Cloud Platform and Solutions Kip Compton spoke about their expertise at the event. Keanini gave audiences some best practices in security analytics and machine learning, while Srinivasan shared about current workplace tech trends. Diaz Jr. looked to the future of IT and strategies for talent growth, and Compton spoke about how to manage and unlock innovation in the multicloud. Oswal shared specifically about how Cisco's intent-based networking can enable an organization's networks to adapt and grow. IT professionals no longer need to manually adjust the network, they can speedily maintain it and keep up with changing network complexity. As change is constantly happening—see policy changes like the GDPR—companies need a network that can do the hard work for them. To learn more about this new network, see here.